There is no doubt about it... you are a woman of many talents. 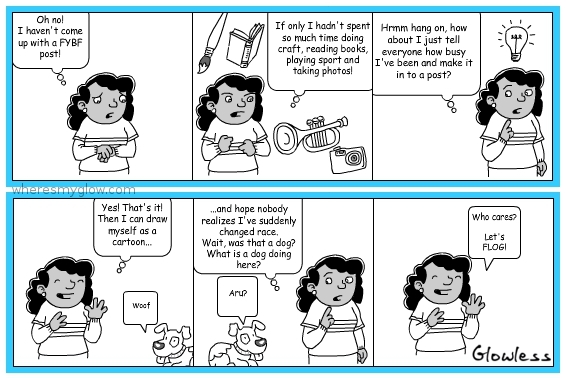 Baking, crafting and comic strip making! Very clever! How on earth did you do that? What a crack up! Nice - did you actually draw that? I couldn't draw a comic strip to save my life! Thanks as ever for hosting FYBF, and for the comic strip laughs! The comic strip is hilarious ;-) Glad to be on FYBF again.